Taking Fat Free Action To 19 Feet! Fort Smith, Ark. – The Fat Free Shad series – one of the most successful crankbaits lines in history – welcomes a new member to the family, a bigger brother that reaches new depths. 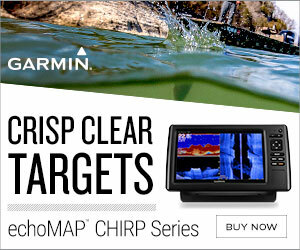 The new BD8F and 8SF take that Fat Free magic down to 19 feet deep – 19 FEET!!! Never before has a Fat Free Shad reached those depths. The Deep Fat Free BD8F is the same size as the original Fat Free Shad and features the same action and sound. The Silent Deep Fat Free Shad BD8SF has that same magic action, but with no rattle – it’s a silent, deeper-running Fat Free Shad. New color patterns join classic fish-producers – 12 in all -- for this introduction. Top quality hooks, genius engineering and constant quality control ensures that each Fat Free Shad BD8F and BD8SF runs straight right out of the package and most importantly, catches more fish than other crankbaits. 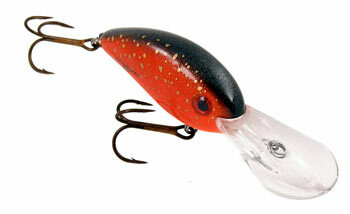 The new Bomber Deep and Silent Deep Fat Free Shads have an MSRP of just $5.99. For more information go to www.lurenet.com.